Summer 1941. 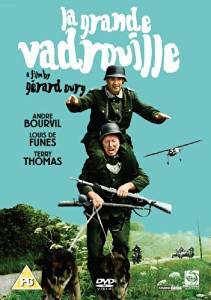 French wartime comedy co-written and directed by Gerard Oury. When a British bomber is shot down over Paris during the Second World War, the crew members become separated as they parachute into the Nazi-occupied city. One lands on the scaffold of an amiable painter and decorator, Augustin (Bourvil). Another lands on top of a concert hall and is rescued by patriotic conductor Stanislas Lefort (Louis de Funes). The third ends up in the otter enclosure of a Parisian zoo. Meanwhile, the Germans are hot on their trail as they attempt to make their escape into the neutral zone of Southern France. The film which was originally released in 1966 and is apparently the most successful film in France in over 40 years. Terry Thomas (big moustache) stars as Sir Reginald in this highly original comedy. 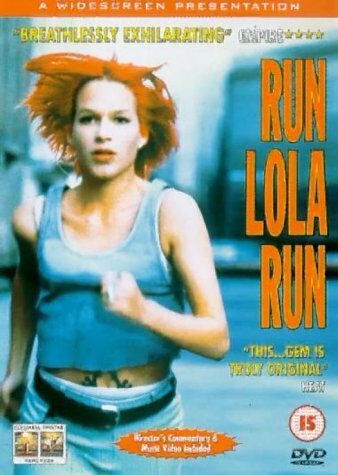 This is a 1998 German thriller film written and directed by Tom Tykwer, and starring Franka Potente as Lola and Moritz Bleibtreu as Manni. The story follows a woman who needs to obtain 100,000 Deutsche Mark in twenty minutes to save her boyfriend's life. The film was released to generally positive reviews from critics and was selected as the German entry for the Best Foreign Language Film at the 71st Academy Awards, but was not accepted as a nominee.